One of the biggest industries in the world is Fashion. Clothing and accessories make up a huge percentage of sales in many countries. In order to sell these products, models are hired to wear them and show them off in the hopes of enticing the public to buy these things. While it may seem like being a model is easy, as what they do is only walk and pose, the opposite is true. To even make it in the spotlight is already a challenge on its own. Nonetheless, there are a lot of models who remain undeterred despite the competitiveness in the industry. Japan is among the many countries that are known for new and bold fashion trends. A lot of models aspire to make it big in the Japanese fashion industry. However, it may be a bit of a challenge for aspiring foreigner models to make it big in Japan. Some of the possible challenges that they might face in the modeling industry in Japan are the language barrier and the probable culture shock. Hence, probably a great asset that a foreigner model can have in Japan is to be able to speak the Japanese language fluently. Still, there are a lot of other aspects that would play a great role in the modeling career of a foreigner model in Japan. These include their physical qualities as well as their determination and willingness to expand their network and horizon. Modern fashion trends in Japan may be a bit unique compared to the global fashion trends that most are aware of. Hence, foreigner models must familiarize themselves with the local trends in Osaka and Tokyo. Furthermore, it is important for foreigner models to learn everything about the culture in Japan. To know what the Japanese people find attractive and “hip” would be a huge help when starting out modeling in Japan. While learning Japanese is a great asset in the industry, foreigner models do not necessarily have to speak the language fluently. Learning the basics that would be relevant to the job should be enough. After all, Japanese people in the fashion industry are already familiar with how to talk to foreigner models who speak in English. Nonetheless, showing one’s willingness to learn the language and to understand the Japanese is a plus. Before one’s application in Japan, it is advised that aspiring foreigner models look for a few local jobs. While this is not necessarily a requirement for the job, it is highly recommended by many. Because modeling agencies in Japan put a great deal of investment in foreign models, they may be a bit hesitant to hire an applicant that does not have a resume. The modeling profession may just be a whim for some people. This is why proving one’s commitment to this profession is important to a lot of modeling agencies. Because of how much money they invest in foreign talents, such as sponsoring and securing the talent’s work visa and accommodations, they want to make sure that the foreign talent would not just quit. There are several modeling agencies in Japan that work particularly with foreigner models. Most of them would probably have an English website where one can apply. Look out for these agencies, as they are more susceptible to hiring foreigner models. While modeling agencies that work with foreigner models typically cover the travel and accommodation expenses of the talent, other expenses such as food would have to be shouldered by the model. Hence, it is imperative that aspiring foreigner models save up before making the trip. This is to ensure that they would still have enough money for the other expenses that they would have to pay for. This is especially important for foreigner models who would just be starting up as a model in Japan. It is common for magazines to look for models that have features far from common Japanese looks. This is to catch the eyes of Japanese readers who are already used to seeing Japanese faces everywhere they go. Magazines tend to gravitate towards tall foreigner models who have green or blue eyes. Highlighting the features that set the models apart from the common Japanese look is recommended. Modeling gigs generally pay well in Japan. However, not every foreigner model is lucky to have a constant source of income through modeling gigs alone. There are certain obstacles that foreigner models might have to go through in order to be able to make modeling a stable profession in Japan. For one, some talent and modeling agencies in Japan and in the West are a bit different from how they work. In the West, it is the agent that does the work for the talent. However, in Japan, it is the other way around. Some say that agents get at least 50 percent of the amount of money that is paid by the studio. Hence, only a little amount may be left for the talents. Another problem that foreigner models might face in the industry is supply and demand. The idea should be that the less foreign faces there are in the industry, the higher the demand and salary. However, due to the increasing amount of foreigner models wishing to enter the Japanese entertainment industry even at a small price, getting gigs that actually pay well can be hard. Making money doing modeling work is still possible. However, it may also be important to note that a lot of talent agencies in Japan take at least two months to pay up. There are even some agencies that take up to six months to pay out the talents. This is where the tip of saving money before starting out as a model comes into play. For the times that one has no modeling gigs books and has not been paid yet, the living expenses would be shouldered by the talent. Their savings would help a lot in alleviating this issue. One tip is to always look out for credible Japanese talent agencies. There are a lot of amazing modeling agencies in Tokyo and Osaka that would provide their talents with great salary and benefits. On the other hand, there are also others that would take advantage of foreigner models who are just starting out their modeling career in Japan. Because Tokyo is the capital of Japan, it is the place where great opportunities are abundant. A lot of famous international modeling agencies set up shop in the metropolis to look for aspiring fashionable models, both local and foreign. Due to the huge name of these agencies, quality products, international commercials, and brands and campaigns are usually guaranteed. If one is lucky enough to get into one of the top talent agencies in Tokyo, they are in for a treat. These agencies usually provide perfect photo productions and videos that talents can have a part in. Organization of changeable models for ad campaigns, photo shootings, and advertising films is one of their expertise. There are many factors that these talent agencies consider before hiring a foreigner model. Some of these include punctuality, motivation, and ambition. Without these, high-quality results cannot be achieved. These representative results are important to convince customers to get certain products. Hence, these factors are essential for foreigner models to book a job in these agencies. Any planned photo shooting requires complete satisfaction with the job at any given time. It may not be obvious to some but details are very important for every photo shooting. Every part of the project must be perfect in order to attain the desired result that the team wants. Suffice it to say, it is a tough job for everyone involved, including the models. This is also why flexible solutions are common for local and foreigner models. The teams involved in the project must get the best out of the models in order to get the desired result. The talents must be able to adapt to any type of challenge, may it be during photo shoots for ad campaigns, cover shoots for magazines, or walking the runway for a fashion show. One of the most recommended modeling agencies in Tokyo is Bravo Models. This agency accepts both male and female models. They have covered several international models, as shown on their website. The agency is located at Hillside Terrace H-301, 18-17 Sarugakucho, Shibuya-ku. Probably one of the most famous modeling agencies in the world also has an office in Tokyo. 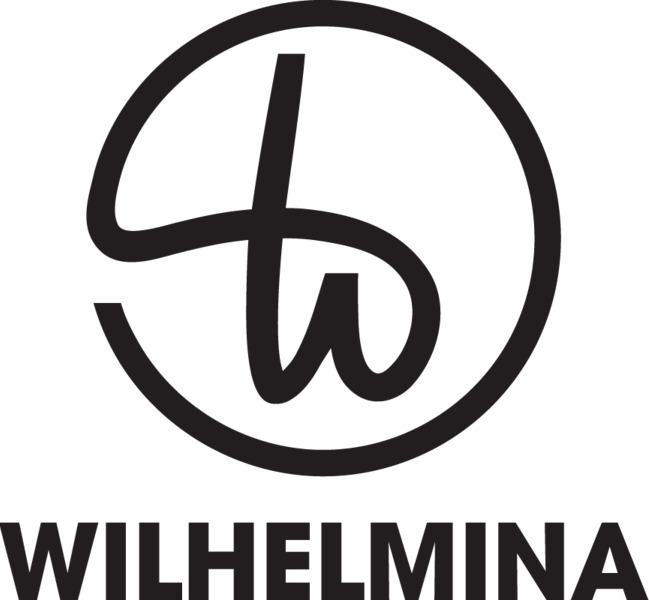 Wilhelmina Models has talents from numerous parts of the world and has bases in New York, Los Angeles, London, Miami, and Chicago. They also cover foreigner models in Tokyo and send them overseas depending on the project. The agency is located at 204 3 Chome 4-6 Minami Aoyama, Minato-ku, Tokyo, Japan. If a foreigner model in Japan wants to be able to represent luxury brands, definitely check out Donna Models. It is a well-known modeling agency that covers foreigner models and has worked for designer brands like Gucci, Coach, Carven, and Margaret Howell. This agency is located at #603, 1-15-3, Jinnan Shibuya-ku. Another option is the Stage Tokyo Model Agency. This agency focuses more on different types of faces. This includes shape, color, and features. A very professional modeling agency, this is highly recommended by a lot of foreigner models in Japan. It is located at R&M Bldg. #402 3-5-17 Kita-Aoyama, Minato-ku. Last but certainly not the least, aspiring foreigner models can check out CDU Models. This agency has talents from all over the world. It has provided talents for several famous fashion magazines such as Bazaar, Elle, and Marie Claire. The agency is located at Al Bergo Nogizaka 508 9-6-28 Akasaka, Minato-ku. Aspiring foreigner models going to Japan for the first time may be a bit surprised by how unique Tokyo fashion is. The best way to go is to familiarize one’s self on the different Japanese fashion trends before flying to the Land of the Sun. Some foreigner models say that Tokyo fashion tends to gravitate towards models who look near perfect and without wrinkles. Despite being foreign, several models from overseas find local Japanese models to be respectful and friendly to them. They are not treated as competition because clients usually just choose specific features that they want on their projects. Basically, they are like two different categories of models so there is not much competition. Clients look for different kinds of styles and personalities in a model. Hence, it is best for foreigner models to just have an individual personality of their own by wearing what they like best and most comfortable. Worry not because foreigner models are treated fairly well in the Japanese modeling industry. One of the things that most foreigner models in Japan swear by is the idea of always being on time. Japanese people, in general, frown upon lateness. Being patient while on the job also helps, as there may be times that models would have to wait for some time. Reading the contract carefully is a must to avoid any legal problems in the future. Most foreigner models in Japan would also advise that aspirants be always friendly to everyone. Another tip for foreigner models in Japan is to avoid getting a suntan. Clients would not want their models to have uneven skin tone. Dressing up for castings is also advised. One need not dress up elaborately; a little dress and some high heels are already good to go. In addition, it is also important to note that foreigner models are advised not to wear too much makeup because Japanese clients gravitate towards models who look more natural. Finally, just be one’s self and be comfortable in one’s body. Confidence is key in booking these gigs.